Inpainting  is the process of reconstructing lost or deteriorated parts of images and videos. The reconstruction is supposed to be performed in fully automatic way by exploiting the information presented in non-damaged regions. 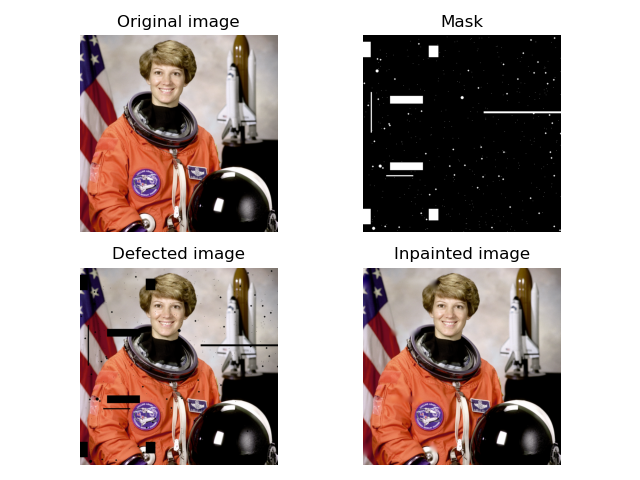 In this example, we show how the masked pixels get inpainted by inpainting algorithm based on ‘biharmonic equation’-assumption   .